What is 5G Wireless Network? 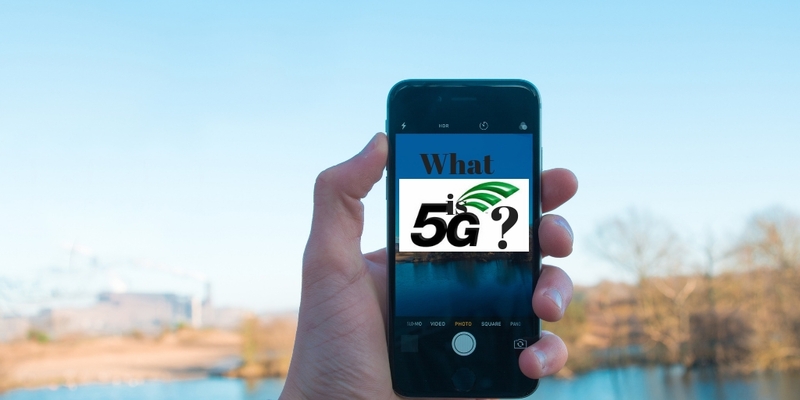 Auditel answers the question “What is 5G Wireless Network?” According to Wikipedia “5G is the fifth generation of cellular mobile communications. It succeeds the 4G, 3G and 2G systems. 5G performance targets high data rate, reduced latency, energy saving, cost reduction, higher system capacity, and massive device connectivity”. Who was the first company to launch 5G? At Auditel, we want you to know answers to questions like what is 5G?, and who launched the first 5G wireless network? Auditel wants to keep you informed about the National Strategy on 5G and spectrum auctions, 5G wireless updates. Moreover, we care about your mobile expense management , your telecom bill management cost solutions. Auditel works with your Service Providers to collect telecom refunds on your behalf as errors are found. The administration isn’t calling for any specific action other than reports from various agencies due in about six months. And the development of the strategy itself in about nine months. It released a presidential memo on the subject Thursday, days ahead of the highly contested midterm elections on Nov. 6. Big wireless telecoms such as AT&T and Verizon are spending billions creating their own 5G networks which are designed to support far more high-speed mobile video watching than current networks support, a growing number of smart devices in the home and even self-driving cars over the coming years. President Donald Trump has signed a presidential memorandum calling for a comprehensive government strategy to ensure there is sufficient spectrum to accommodate the introduction of 5G networks. The memorandum says the long-term strategy should include policy recommendations to increase spectrum access for all users, flexible models for management and sharing among federal and non-federal stakeholders. The Commerce Department will provide yearly updates on the strategy. The memorandum, signed last Thursday, also calls for the creation of a Spectrum Strategy Task Force, including representatives from the Office of Science and Technology Policy, The National Economic Council, the Office of Management and Budget, the National Security Council, the National Space Council and the Council of Economic Advisers. The White House says it still wants the private sector to take the lead; adviser Michael Kratsios told reporters the administration “will prioritize efforts to accelerate the private sector’s development of 5G, so that the American people can reap the rewards of this incredible technology,” according to Reuters. The White House still seems intent on fostering private development of 5G, despite reports earlier this year that national security aides in the administration were debating building a nationalized 5G network as a cybersecurity measure. It’s in line with comments made by National Economic Council director Larry Kudlow this month, that the administration preferred the “private enterprise, free market path” to deploying 5G. Still, it’s clear a national strategy will help guide the market and find where the government can aid domestic development, especially as countries including China and South Korea rush ahead to build their own 5G systems, reaping the technology benefits. Advocates in and out of the government have called on federal action to knock down barriers that could limit deployment. The Federal Communications Commission (FCC), for example, has passed rules to streamline infrastructure deployment and limit fees that cities or other local governments could charge telecoms to install small cells (despite opposition from local governments). More on What is 5G Wireless Network? From notes on the FCC website it appears the FCC is trying to get more spectrum into the market so more businesses can use it. It wants to get the 5G spectrum services to carriers that are mostly likely to deploy 5G networks in the US. What is so special about 5G wireless network? We’ve heard that AT&T has plans to begin their mobile 5G service in three US cities (Dallas Atlanta, and Waco City, TX) before the end of 2018. The FCC is trying to get more spectrum into the market so more businesses can make use of it. FCC wants to get the 5G spectrum to carriers that are more than likely to deploy them in the US. The FCC plans to conduct two rounds of spectrum auctions Wednesday, November 14, 2018. The FCC plans three rounds of auctions for Thursday, and more auctions will be planned until all licenses are sold. There’s an FCC spectrum auction for the 24GHz, involving 2,909 licenses coming up. The next spectrum auction however, will be scheduled afterward. We’ve read where auctions will be held for 37GHz, 39GHz and 49GHz spectrum bands later in mid 2019.